They felt a little different than what I expected, but I still love them. Option: Large - Round - 20 inches round | Medium - Rectangle - 12 in. x 20 in. | Small - Square - 16 in. x 16 in. An expensive little pillow but I just love it. The colors are a bit brighter % it really adds to my décor. Oh, the colors are fantastic in this pillow. I would love if I got a bigger size though, not sure if it does come bigger. I love the pillow, however. Would definitely recommend this pillow to anyone as it is made well and excellent colors in it. I bought two pillows to put on my black sectional in the living room and i bought the circle metal art to put on the wall in the dining room to bring the two rooms together, i love them, great choice. These pillows are so much nicer than I expected! Very soft with a vibrant print! It completely matches the canvas art that I got for my bedroom wall and makes a cohesive statement! Option: Medium - Rectangle - 12 in. x 20 in. | Small - Square - 16 in. x 16 in. Love the bright colors! Just what was needed to brighten up my sofas! Beautiful!!! They helped perk up my bedroom! Option: Large - Round - 20 inches round | Medium - Rectangle - 12 in. x 20 in. 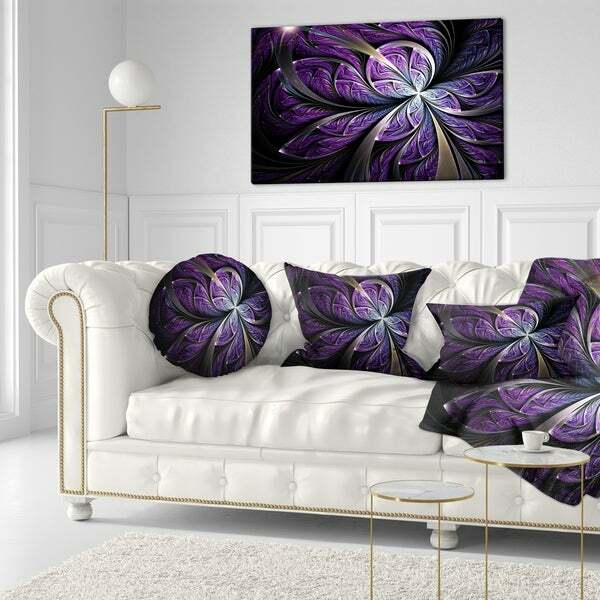 "WHERE can I find the wall-art-pictures, that match these vibrant pillows? I’m STRUGGLING to find the art I want to hang above my bed...THIS IS IT!!! Can someone PLEASE help me? Thank you so very much!! Jan"
Absolutely stunning! I have purchased 5 pillows of various shapes & sizes, 2 blankets, and 11' & 29" discs for my home. Love them& sure I will enjoy them for years to come.